Late autumn and early winter are my favorite seasons; aside from the inevitable common cold symptoms (daily one-a-day vitamins be damned), it’s a time for holidays, family, food, and of course, amazing whiskey. This year for Thanksgiving, we opened a bottle of Heaven Hill Select Stock. These are of limited availability (unfortunately), and can only be purchased at the Heaven Hill Bourbon Heritage Center in Bardstown Kentucky. 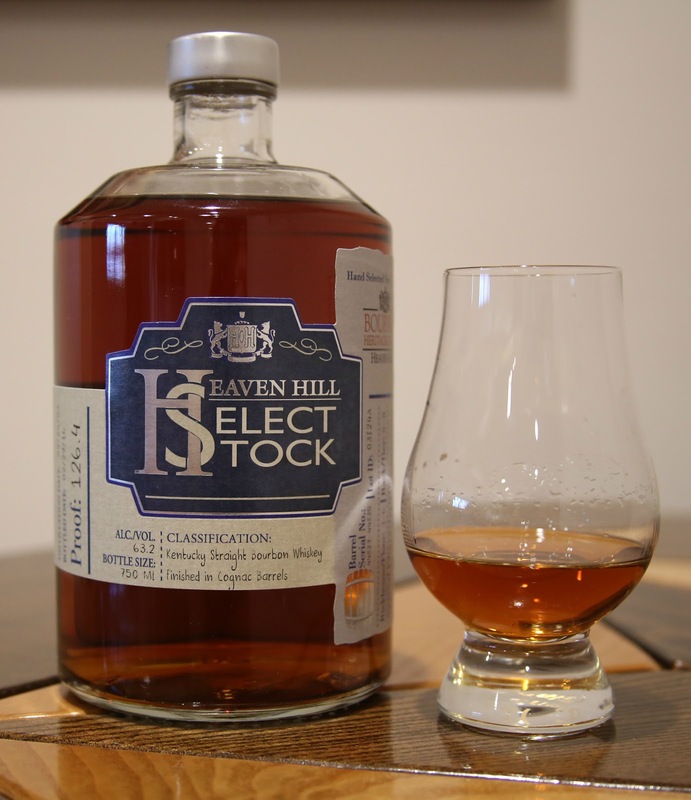 This particular release (2016) is a barrel proof wheat bourbon finished in cognac barrels. Nose: Sweet with powdered sugar, dark fruits, baking spices, and toasted oak. Taste: The cognac finish shines on the palate with notes of honey, raisins, and pepper. It’s well-balanced, yet mellow, with hints of maple syrup, cinnamon, and toasted oak. Finish: Baking spices linger for a dry and mouthwatering withdrawal. Conclusion: From nose to finish, the best way to describe this bourbon is rich. 21 months in cognac barrels is a long time, but I think it was necessary to mellow out what would have been very hot and spicy wheat bourbon. I personally am not a huge cognac fan, but this certainly meets my expectations.